On June 18th , Canada’s news media were voicing grave concerns about rats in Vancouver. The CBC, the National Post, the Huffington Post and many linkers and commentators were drawing lines between community gardens and compost and rats and threatened day care facilities. 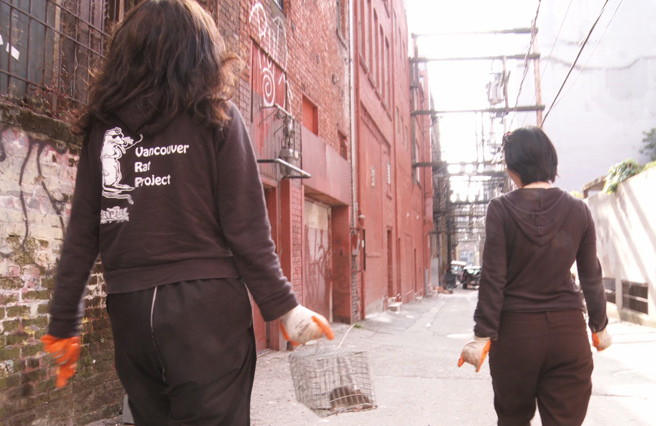 Global TV invited Dr. Chelsea Himsworth, director of the Vancouver Rat Project and coordinator in BC for the CWHC, to put this particular issue involving urban rats into a broader perspective. Here is that interview. Previous story What Does the Bat Say?